Special thanks goes to John Hagner and to Dixie Carson! 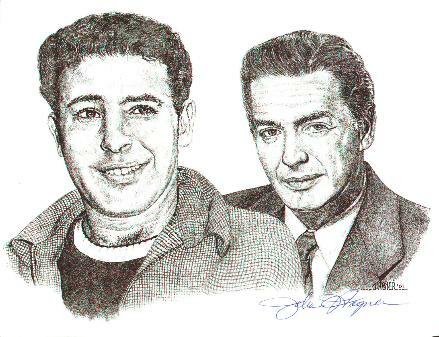 Here is the fabulous drawing of Victor and Fred Carson by John Hagner. To read more about Mr. Hagner's fascinating career you can visit these three pages: 1, 2, 3.